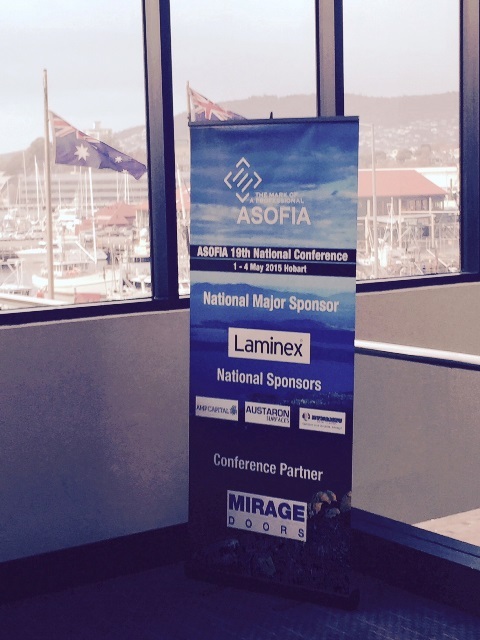 Mirage Doors has just completed a very successful participation at the 19th ASOFIA national conference (held on May 1 – 4 in Hobart). 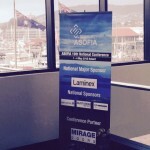 ASOFIA (Australian Shop & Office Fitters Industry Association) conducts a national conference every 18 months. 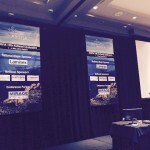 The Hobart conference attracted 150 leading shop & office fitters and suppliers from all states. 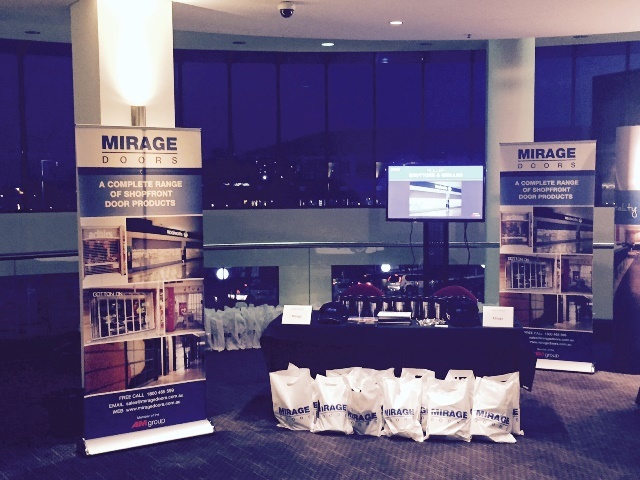 Shop & office fit out work is a key commercial market for Mirage, and the Mirage brand is iconic in this sector. 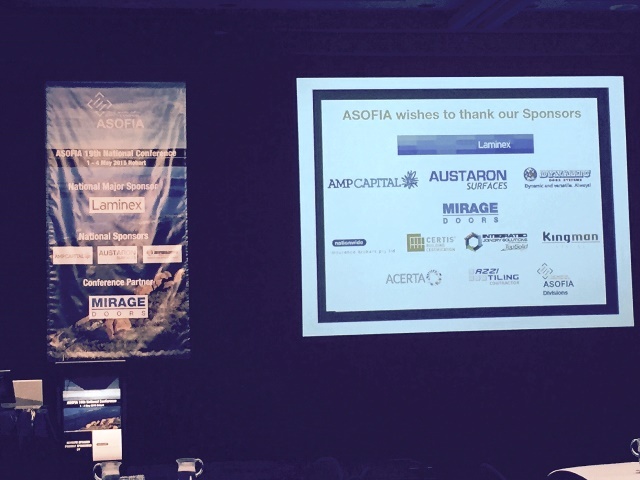 Mirage Doors received a citation recognising their 30+ years of ASOFIA membership and active industry participation. 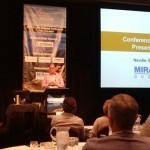 For the 6th time, but for the 1st time since 2011, Mirage was a conference sponsor. 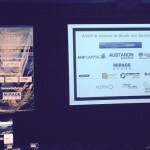 In return, ASOFIA afforded Mirage Doors a very high exposure to the delegates. 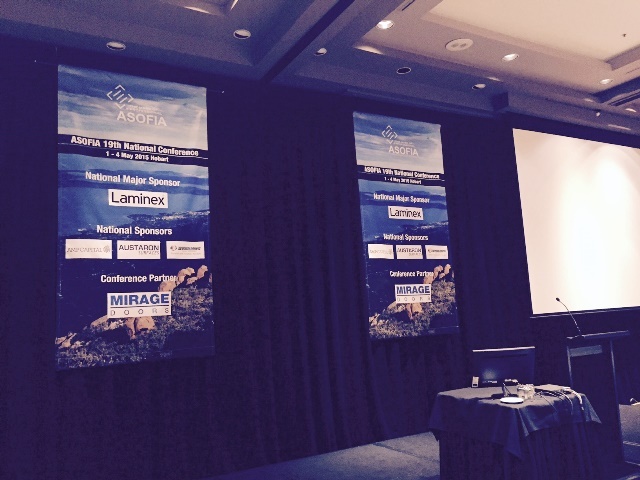 The conference was attended by Nev Griffiths (Qld), Peter Way (NSW), Tony Vivarelli (Vic) and Paul Zelasko (AM Group). 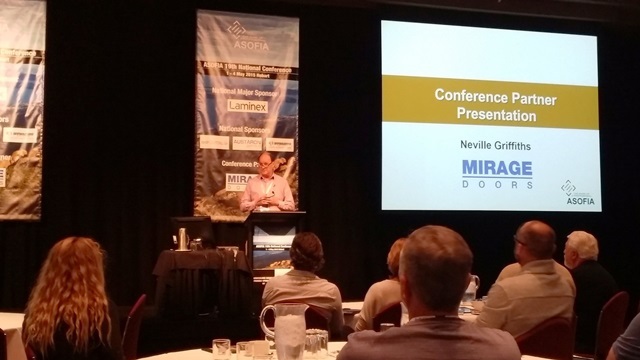 Apart from the many networking opportunities available, Nev gave a sponsors presentation; informing delegates that the recent acquisition by the AM Group has significantly strengthened Mirage’s manufacturing capabilities and site project management resources. This, combined with our traditional specification, contracts administration and estimating strengths, means we can now provide higher performance capabilities on their projects. The feedback was very positive, with requests from several shopfitters to ensure we make follow up contact this week. Nev also informed ASOFIA that we are committed to their organisation, and we will also resume a high profile in their respective state – based organisations. This news was very well received by all in attendance. Mirage Doors is an industry stalwart, having commenced operations in 1966. 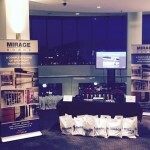 The Mirage brand is well established and highly regarded by all stakeholders. It has suffered in recent times from low cost competitors, many of whom are no longer trading. To capitalise on the company strengths and market opportunity, the AM Group is determined to ensure Mirage is appropriate resourced at all stages of a project and to again be the dominant participant in this sector. This in turn will give the AM Group a prominence in the Australian commercial doors market to complement its traditional strengths in the industrial doors market.